Cosmetic dentistry and orthodontics are gaining popularity in the past few years. With many treatment options for adults, young adults, and kids to correct their teeth alignment, smile, and jaw shape, orthodontic treatments have become a new-age solution for many such problems. 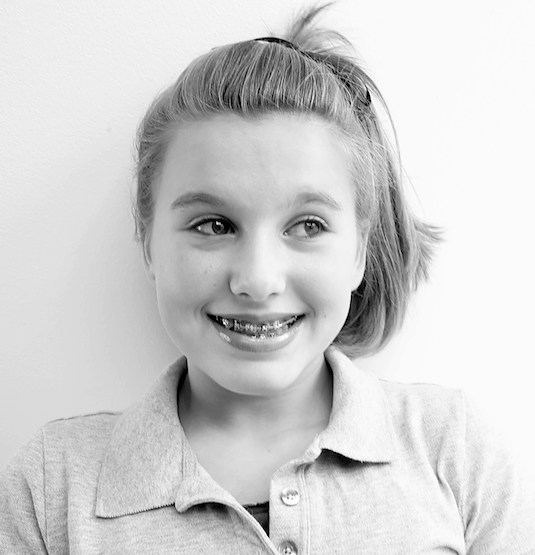 However, many parents often question the safety of orthodontics treatments for their kids. Whether your kid needs braces for teeth alignment correction or treatment for underbite problem, he or she should see a licensed orthodontist only. Based on the safety guidelines from the American Association of Orthodontists, parents should consider consulting an orthodontist for their child only after he reaches the age of seven. As many of the dental problems can be identified at this age, orthodontists can take appropriate steps to correct your child’s jaw or teeth alignment, under or overbite problems, and similar issues in an appropriate way. What is the appropriate age to see an orthodontist? A number of orthodontic procedures require you to undergo some noninvasive and surgical procedures too. Based on the person’s age and tooth development, orthodontists suggest the suitable treatment plan. However, if your child is under the age seven, he or she will not be eligible for a number of treatments as per the safety guidelines mentioned by the American Association of Orthodontists. In addition, all orthodontic problems cannot be detected easily before your child has at least a set of permanent teeth. At this point, any issues such as teeth misalignment and crowding will also become apparent. Only after detecting the problem, your child’s orthodontist can suggest whether your child needs braces or any type of treatments. Starting the process early also has many benefits. In fact, your child’s orthodontist will be able to determine the cause of the problems early and can plan to start the treatment soon. Therefore, the appropriate age to see an orthodontist is only after your child becomes seven. As opposed to the dentists, an orthodontist is a specialty doctor who deals with various tooth based problems, including crowding, spacing, tooth loss, and problems due to jaw and tooth misalignment. Ideally, the orthodontist can easily identify the problems with your child’s teeth after the age of seven. Crowding and Spacing: This is the most common problem found in children. When a baby tooth is lost prematurely, the problem of spacing and crowding arises. When a new tooth comes, it becomes misaligned due to the lack of space. Improper spacing also leads to cavity formation in the future. Orthodontists carefully check the area and use arches or bridges to correct the misaligning of teeth by crowding and spacing. Arches are often used to help improve the situation caused by crowding and spacing of teeth. In children, baby tooth usually starts to fall out at a specific age. However, the falling pattern may vary from person to person. By the age seven, your child should have four permanent incisors and four permanent molars. Any deviations from this pattern of tooth falling may cause crowding and spacing problem. Sometimes, this problem may lead to premature tooth loss and eruption. Orthodontists can correct this problem by maintaining the space between teeth with a bridge or arch. This will eventually prevent any further problem with teeth alignment and crowding. Alignment of teeth is a major problem in young adults. Due to crowding and spacing of tooth, your child may have teeth alignment issue in the future. As a result, your child may develop crooked teeth and overlaying gum issues in the future. Correcting alignment problem at an early age is highly recommended. Later, misaligned teeth may impact the self-esteem of your child. Orthodontists use braces and Invisalign to correct the crooked teeth problem and misalignment of teeth. Although the alignment problem can also be corrected at a later age, you can always opt for early treatment by visiting an orthodontist. This problem is very common among children of 7-10 years of age. However, orthodontists advise waiting till your child reaches the age of 16. Usually, orthodontists start treating this problem only after your child has all fully grown teeth. To normalize the anterior bite, orthodontists use special treatments to shift the bite in order to avoid excess gum damage and occlusion. If your child shows the underbite problem at an early age, then take him/her to the orthodontist to find more options for definitive correction at an early age. Usually, children with posterior crossbites problems face other teeth problems like crowding. Lateral jaw shifting is another problem that may arise due to crossbites. To reduce the effects of this problem, orthodontists eliminate any shifting that may be present due to a slender upper arch. Treating this problem at an early age is highly recommended. Most of the children usually have four fully-grown incisors by the age of seven. If your child’s front teeth stick out instead of staying within the jaw line, then you may need orthodontist’s help. This problem is the major cause of developing overbite in the course of time. Your orthodontist will suggest a safe and effective way to treat the protrusive front teeth problem easily. In case, your child has a vertical alignment problem, it may lead to anterior open bites and deep bites. If your child is of seven years, then this problem can be easily detected. Deep bites may cause abnormal growth of teeth and crowding. Orthodontists will work with you and your child to eliminate such problem through several sessions, so your child will have a normal teeth development. If you are fortunate enough to live in or near Nashville, TN, then make sure to contact Dr. Joel Gluck at Gluck Orthodontics for an appointment. 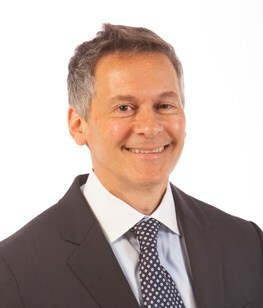 Dr. Gluck offers his expert orthodontic services to. Contact Gluck Orthodontics today at 615-269-5903 to schedule your first appointment with Dr. Gluck. « What Foods Should I Avoid [With Braces]? This is such a good question. I’ve been wondering myself when I should take my children in to see the orthodontist. I want to schedule an appointment before their teeth get too crazy. I’ll make sure I follow your tip about waiting until my child is 16 for solving his underbite. Hopefully that’ll be the perfect time for him. Thanks for the information. Like Mia said, I’ve been wondering about when I should bring my kid in to see the orthodontist. He’s got some serious protrusive front teeth, just like you mentioned. I’m going to follow your tip about bringing him in when he’s about 7 years old. Been asking myself this same question for a while now, you’ve got some great points here, honestly I’ve got a great doctor and I trust his advice. Next time I go to see him I can ask my questions, but at least I’ll be a little more equipped knowledge wise. Thanks a bunch for the article.